Now, what will the APC do? Will it inform INEC that the party’s candidate in the inconclusive governorship election is deceased and the running mate has been adopted by the party as its flag bearer to continue with the supplementary election? Will the PDP and the other parties participating in the election agree with such arrangement? These will be the political calisthenics that will be seen in the next few days. Honestly, Nigerians may have to brace themselves for this. We might just about to be spectators to huge legal tussles. I do know that it will be exciting times for us lawyers! ‘Ya Allah, forgive Alhaji Abubakar Audu and have mercy upon him, excuse him and pardon him, and make honourable his reception. Expand his entry, and cleanse him with water, snow, and ice, and purify him of sin as a white robe is purified of filth. Exchange his life for a better life. Admit him into the Garden and protect him from the punishment of the grave and the torment of the Fire. Out of the debris that emerged from the tragic, perplexing, mind blowing and confusing passing of late Prince Abubakar Audu, only one thing was really certain… Every living soul must taste that bitter taste that is death. Even before news of his tragic passing had been confirmed, the conspiracies, rumors, theories and malice had already made their Olympic winning laps. Though I exist within an atmosphere where conspiracies thrive, it has never really been an attractive forte for me to ascribe to theories, which always seem to be inadequately explained by incompetence, when the conspiracy is not supported with specific evidence. There is no doubt that the circumstances that surrounded Late Prince Abubakar’s election, in which he was reported to have a high lead, to an inconclusive governorship poll result, to a situation where we was pronounced…dead was, to say the least, more confusing than the bewildering plot of Jim Carey’s attempt at another Cult Horror with Mr. Magorium’s Wonder Emporium. The sudden death of the former governor of the State who was until his death the flag bearer of the All Progressives Congress in the inconclusive governorship election in Kogi State held on November 21, 2015 is just as peculiar as the heartbreaking and mystifying passing of the wonderful and great Nigerian hero, Chief Moshood Abiola. But, truth be told, only God knows what led to the deaths of these men in their entirety. But only The Almighty knows so, as people we sould continue to offer prayers to the passing of these men on the passage that we will all surely pass one day. Behind the thoughts, prayers and well wishes for this irreconcilable leader, which has passed is the legal quagmire presently left in Kogi politics and governance. There is no doubt that Kogi State has been thrown into a sensitive state, which must be treaded with caution. From the legal standpoint, a supplementary election is scheduled to be held within one week in parts of Dekina, Ayingba and Ankpa, however, whether these will take place and in a manner that is up to the expected equitable criteria will depend on the events that will unfold in the next few hours. However, even, in consideration of the above provision, within the province of sections 181 and 182 of the 1999 Constitution (as amended) the governor and the deputy governor are elected together. This could be interpreted as if the constitution recognises the existence of the running mate for election, who if elected with the governor becomes the deputy governor in any case. The truth is that, the law is not completely clear and unambiguous here. Section 181 of the Constitution of the Federal Republic of Nigeria (as amended) provides: “If a person duly elected as Governor dies before taking and subscribing the Oath of Allegiance and oath of office, or is unable for any reason whatsoever to be sworn in, the person elected with him as Deputy Governor shall be sworn in as Governor and he shall nominate a new Deputy Governor who shall be appointed by the Governor with the approval of a simple majority of the House of Assembly of the State”. The position of the constitution was reflected as the position in the Supreme Court in Modibo v. Haruna. The Governor-elect then, Alhaji Atiku Abubakar was nominated by PDP and Chief Olusegun Obasanjo as his (Obasanjo’s) running mate, and PDP won the presidential election. Mr. Boni Haruna who was the Deputy Governor-elect was sworn in as the Governor and the defunct APP legally challenged the exercise positing that it was Alhaji Atiku Abubakar that won the election and if for any reason he was not going to be sworn in, Boni Haruna could not benefit from the victory. The Apex court toed the path of the constitution and dismissed Modibo’s case. A clear precedence for the Deputy Governor-elect had been set! But! Yes, but… Dear Comrades, the provision of the constitution and Modibo V Haruna’s case is, however, distinguishable from the present situation. In the 2015 Kogi governorship election case, a situation emerges where a winner was not categorily declared. The election had been declared inconclusive and no candidate has been declared the winner yet, even though the APC is considered to have been in lead. Section 87 of the Electoral Act, 2010 (as amended) provides in subsection 4(b) (i) and (ii) that, “where a political party intends to sponsor candidates it shall hold special congress in each of the Local Government Areas of the State with delegates voting for each of the aspirants at the congress and the aspirant with the highest number of votes at the end of the voting shall be declared the winner of the primaries of the party and aspirant’s name shall be forwarded to the Commission as the candidate of the party, for the particular state”. Now, strictly applying section 87(4) (b) (i) and (ii) of the Electoral Act, 2010 it was the name of Prince Abubakar Audu that APC forwarded to INEC as the party’s governorship candidate for the on-going governorship election in Kogi State and not that of his deputy. In man’s quest to acquire power, it is so sad that sometimes we forget that and get lost in the things that are not important in life. His Excellency has gone beyond the context now and has left behind the mudslinging by politicians, the stress of campaigns, the unending caucus meetings, the praise singing of sycophants and the bitter attacks of political opponents. We must all be united in prayer for the repose of his gentle soul, while politics remains for the living. Prince Abubakar Audu’s story has already been written and concluded. Now it’s the rest of us. In further legal discussion, Section 36(1) of the Electoral Act provides that: “If after the time for the delivery of nomination paper and before the commencement of the poll, a nominated candidate dies, the Chief National Electoral Commission or the Resident Electoral Commissioner shall, being satisfied of the fact of the death, countermand the poll in which the deceased candidate was to participate and the Commission shall appoint some other convenient date for the election within 14 days.” Although this deferral of law is quite clear, some legal pundits still argue that the above provision of the law still differs from the situation in Kogi State. This argument is hinged on the basis that the election, which Late Alhaji died had already began! We must also be mindful of the position and influence or lack of interference of the political party in our elections. In 2011 the present President, Muhammadu Buhari, declined to challenge the result of the presidential election in the court, being the presidential candidate of the then CPC. The party went to court to reclaim its mandate but failed. The brilliant, amazing, honourable and deserving Dr. Kayode Fayemi decided not to challenge his loss to the incumbent governor, Ayo Fayose of Ekiti State in the last governorship election in the State but we know that the APC, which sponsored him went to the Tribunal and lost the petition. Then, who can remember the Supreme Court sacking Chief Celestine Umehia from the government house in Rivers State and holding that Rt. Hon. Rotimi Amaechi who was not a gubernatorial candidate during the Rivers State gubernatorial election, was the candidate sponsored by the PDP? And he was declared the governor of Rivers State in 2007. By these judgments, it is the party, rather than the candidate, that the court recognises in the victory or loss of elections. This could well play a part in in the Kogi election. The election may very well be alive, so I would suggest that political parties participating in the election… should brace up for a supplementary election! Whatever the political maneuvers will turn out to be, politics is politics… and life is life. In man’s quest to acquire power, it is so sad that sometimes we forget that and get lost in the things that are not important in life. His Excellency has gone beyond the context now and has left behind the mudslinging by politicians, the stress of campaigns, the unending caucus meetings, the praise singing of sycophants and the bitter attacks of political opponents. We must all be united in prayer for the repose of his gentle soul, while politics remains for the living. 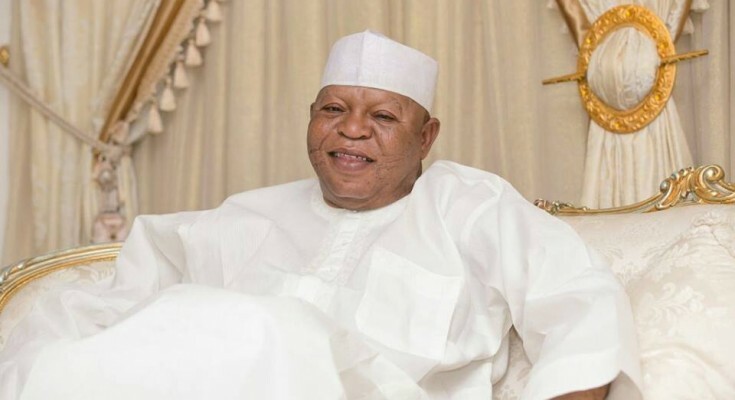 Prince Abubakar Audu’s story has already been written and concluded. Now it’s the rest of us. ‘O Allah, Alhaji Abubakar Audu is now under Your care and protection so protect him from the trial of the grave and torment of the Fire. Indeed You are faithful and truthful. Forgive and have mercy upon him, surely You are The Oft-Forgiving, The Most-Merciful’.